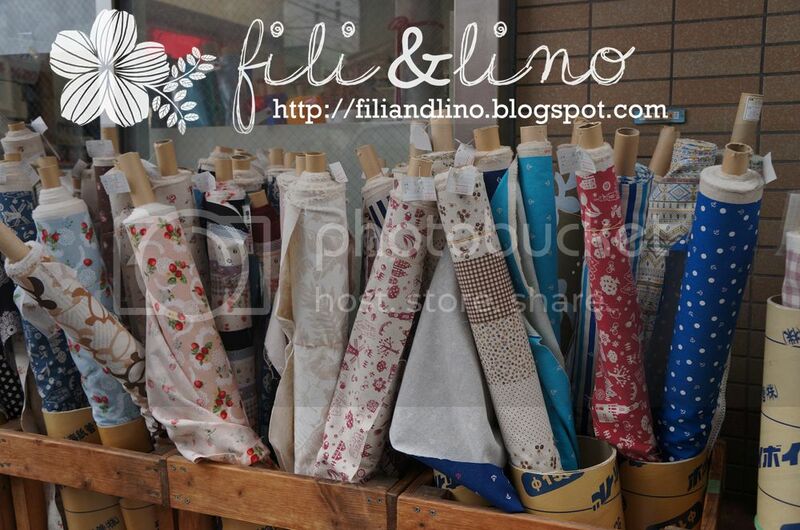 Fili&Lino Crafting Haven: A trip to Nippori! So, why Lino hasn't been around in the past two weeks? She just got a two weeks "holiday" to the land of the rising sun. And even though her task was to be a "tour guide" for her lovely aunt and her friends, she still got a chance to visit the Nippori textile town. So what's Nippori textile town? 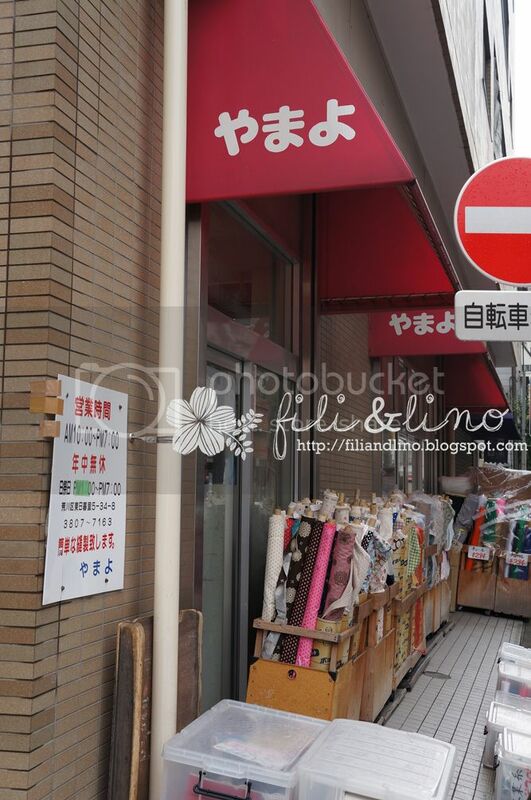 It's actually an area in Tokyo that sells textile/fabrics/craft equipment. I am sure there are heaps of blogs and websites that gave details about Nippori such as this, this, this, and this (basically, just google it). I won't go through details on how to reach the area. Just ride a JR Yamanote sen to Nippori, then you'll easily found the map and the direction to the textile area. Now, I decided to visit ALL fabric stores along the road. I planned to went through all the stores on the right side of the road until the end of the road, then went back to the direction to the station and visit all the stores on the opposite direction of the stores that I visited before. I didn't really pay attention to stores that sell knit fabric only, since I don't wear knits (I live in a tropical country, remember?). There are soo many stores selling knit fabrics at the moment, probably because it's winter? I visited a store called Pakira Knit. 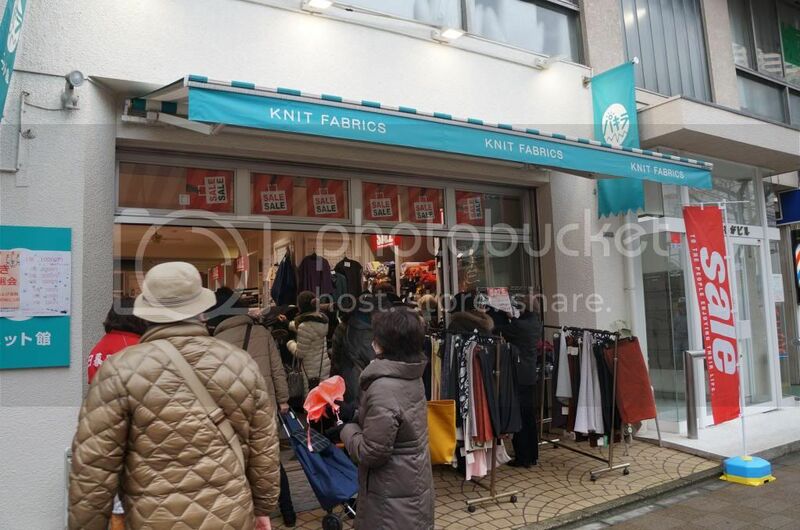 There are soo many people flocked that knit store. It seems Pakira Knit had a bargain. I'm not really sure how much since I never bought knit fabrics before. The next store that really caught my attention is Yamayo, simply because of the rolls of cotton - linen blend fabrics that lined in front of the store. In this store, I bought two half metre bundles of cotton-linen blend fabric, which cost me 700 yen (350 yen each, for 110x50cm fabric cut). 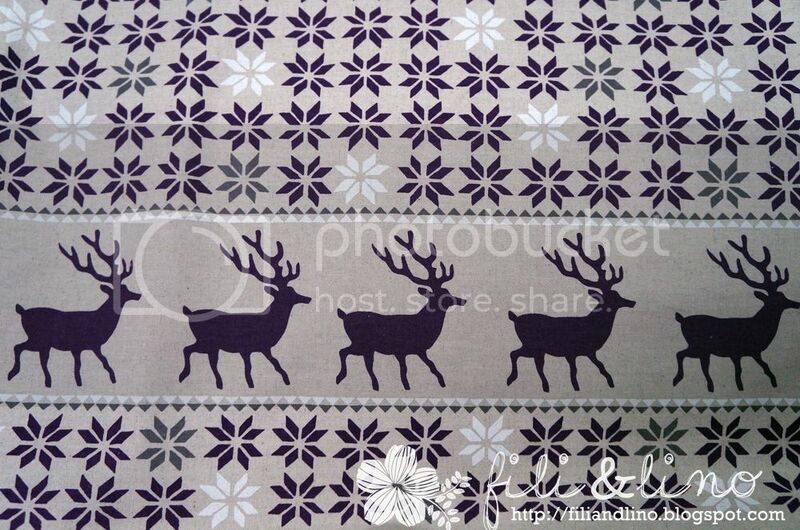 Yamayo also sold various plain cotton fabric and Japanese traditional print fabrics inside. However, the stuff that really attracted me was painted wood button, the small one is 40 yen each, while the big circle one is 100 yen each (don't mind the cat and the lamb, I bough that at Tomato Notion). Then I found the first Tomato. Lots of people recommended Tomato, which is highly understandable. Tomato has four different stores. The first Tomato is Tomato Selection. I'm not really sure but I found some Lecien, Japanese designer fabrics (it was very pricey), some knits and rayons/light weight fabrics. I think Tomato Selection is for special selection and mid-upper price range fabrics, even though they also have some bargains. Traditional Japanese fabrics. 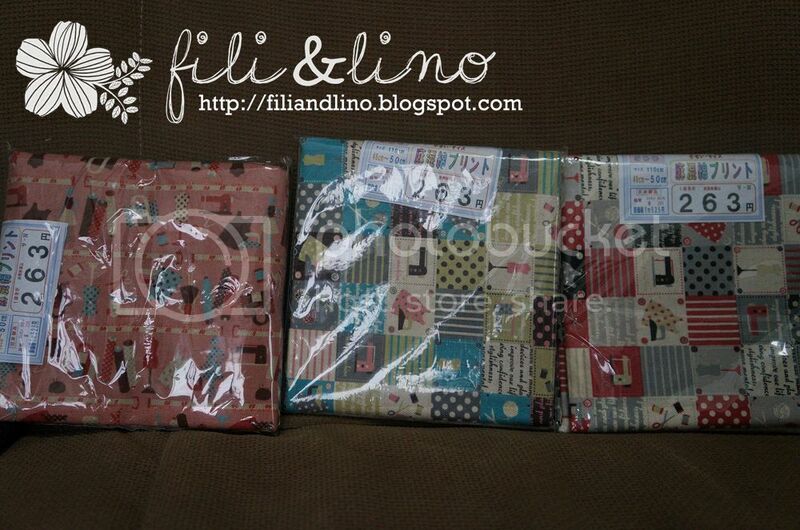 The middle one is 2 metre cotton fabric that's superbly beautiful. 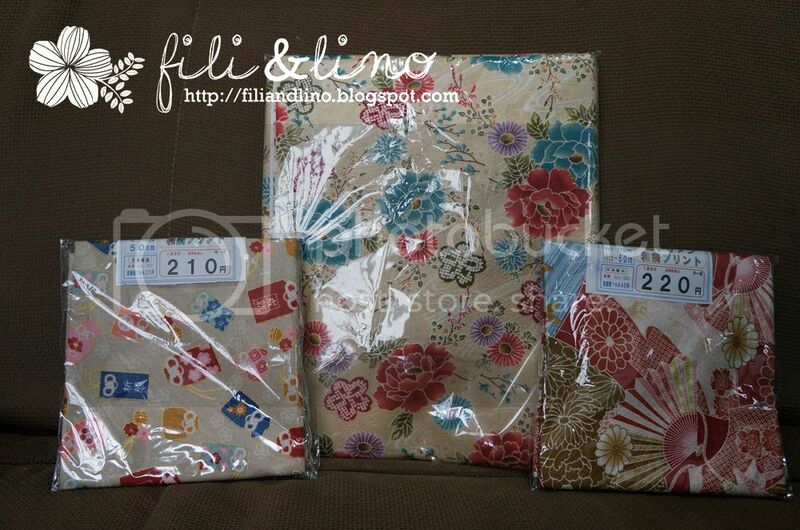 Can be used as Yukata or kimono. Price per meter? Only 440 yen aka 6 AUD! Cotton - linen blend. How do I know it's cotton - linen blend? The words, of course. Linen's kanji is 麻 (asa), while cotton's kanji is 綿 (men) or the katakana コットン (kotton). 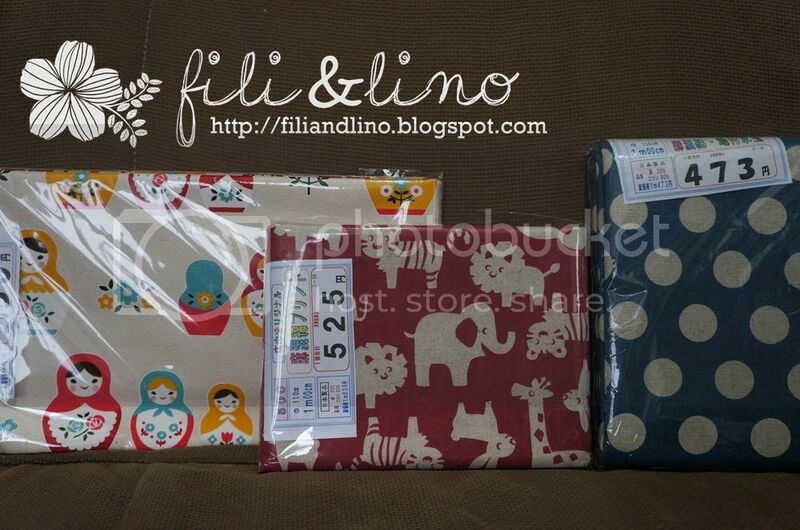 The matryoshka is actually a cotton canvas fabric. 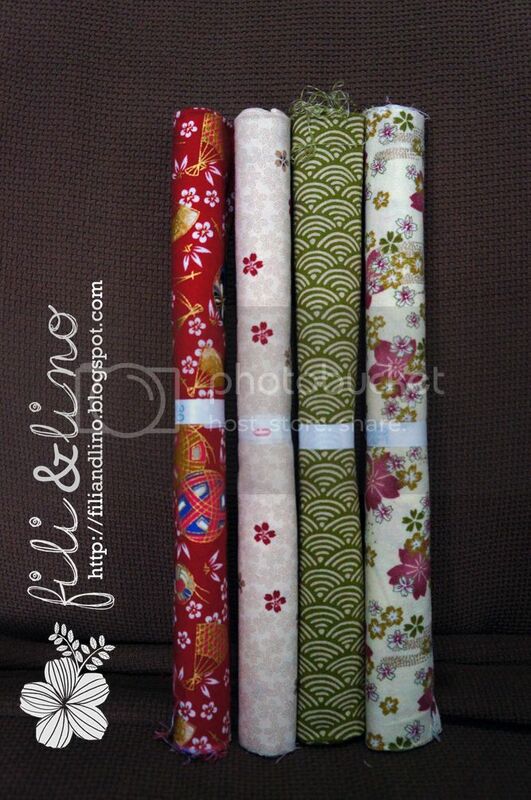 Going to Japan will not be completed without buying Kokka fabrics. 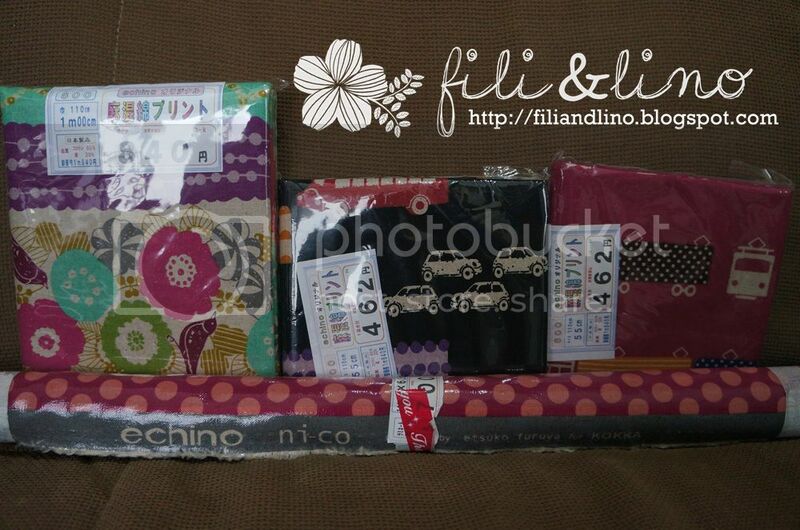 I bought some Echino fabrics because, it's Echino, a very famous line worldwide. I would love to buy more (since it cost me 24AUD per metre in Australia), but what can I say, I'm broke already! So yeah, Mihama rob my wallet like crazy. But wait, I haven't been to Tomato! The next store that I visited was Tomato Notion. 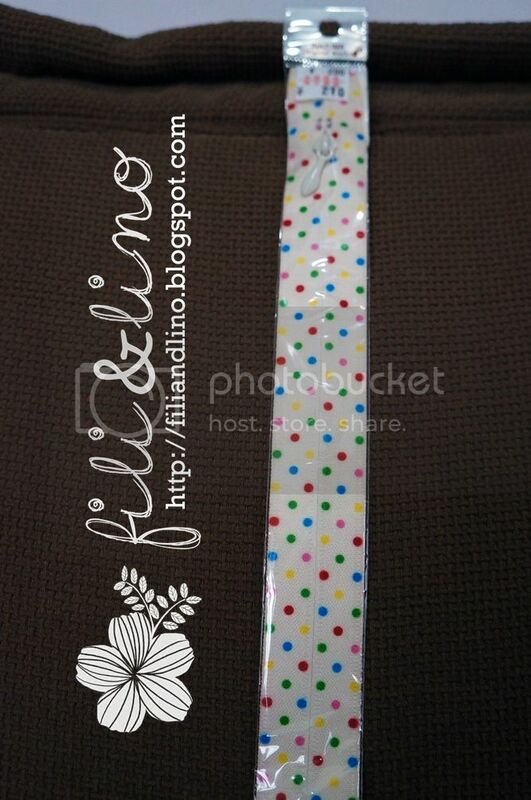 Here you can find lots of buttons/ribbons/laces/zippers, basically all those non-fabric things. My eyes was stuck to this rainbow coloured dot zipper. I fell in love at the first sight! Next to Tomato Notion is Tomato Arch that sold fabrics like towel, denim, suede, etc. I didn't pay too much attention for that store. Next, the legendary five storey Tomato! It was packed like hell. I just found out that they had a week of sale at NIppori. No wonder I got 10% discount at Mihama too. Unfortunately for me, the only one who can get the discount is the one who got the Tomato card, which I don't have. Tomato's first floor was packed with 150yens fabrics, cotton print, linen, cotton-linen blend, and Japanese prints. I forgot what was on the second and third floors, probably silk/rayons/denims? But the fourth and the fifth, that's the best part of the store. Fourth was packed with cotton linen blends and cotton prints, while you can find US cotton/fat quarter, patchwork stuffs, some buttons, laminated fabrics and other cottons on fifth floor. I found the prices on Tomato is higher than other stores that I visited. For example, the wood button that I bought for 100 yen in Yamayo cost me 120 yen in Tomato. The Echino fabrics also higher in Tomato than in Mihama. These are what I got from Tomato. After that, I visited an old and recycle Kimono shop on the corner of the road (I didn't remember the name of the store, probably Yamasei Shoten? ), visited some leather stores (I was fascinated with the animal shaped leather ornaments), then visited the rest of the store on the road. 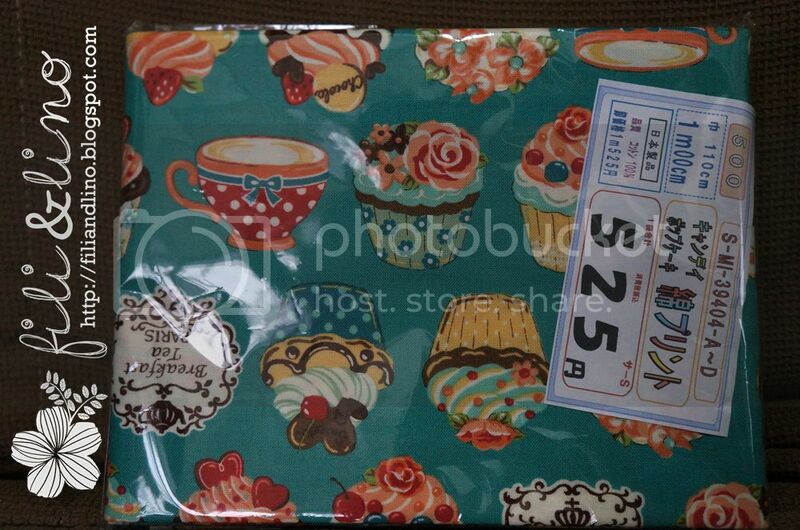 I visited a small shop that sold US fat quarter, but it was very pricey, the same price with fabric stores in Australia. So the point is, nothing really caught my attention, probably because I already spent a lot before. However, the rest of the store also sold similar fabrics with stores that I visited before, so no wonder I didn't have enough interest. The day was completed with a bowl of Tendon at Tenya, near Nippori station. It cost me 500 yen, yet it was very good and fulfilling. So, I think that's my short review for my trip in Nippori. To sum up, Nippori is a heaven on earth for me, but not for my wallet. I definitely would love to come back there and hunt more fabrics. 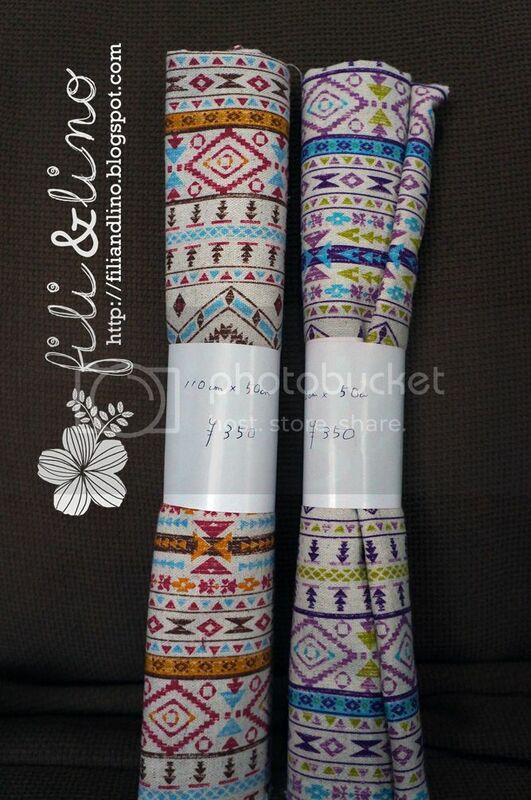 But before that, I have to make Fili&Lino a success before I am able to visit Japan again. 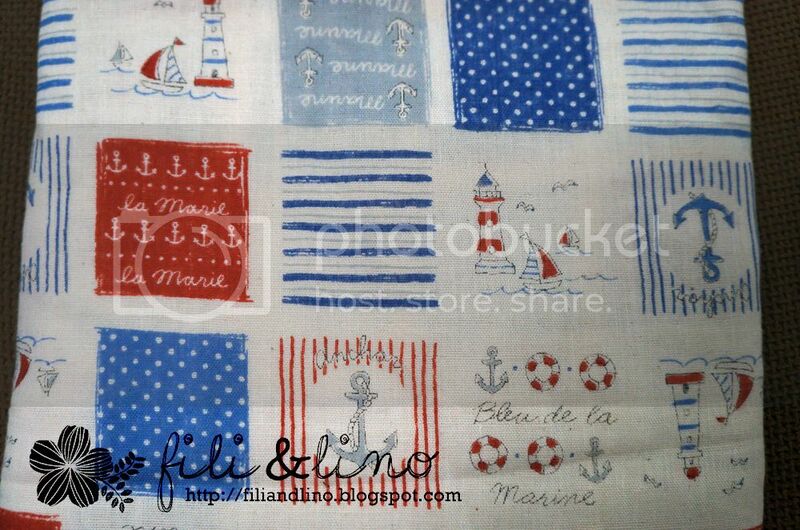 The marine pattern was soooo cute, I didn't even think twice to bought it! 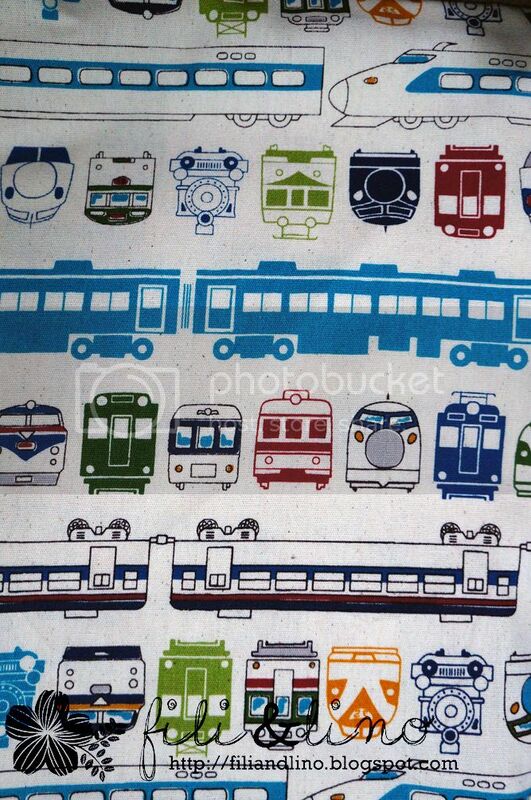 I'd love to find some of that train fabric. Diso for baby's nursery if you have any idea of name.